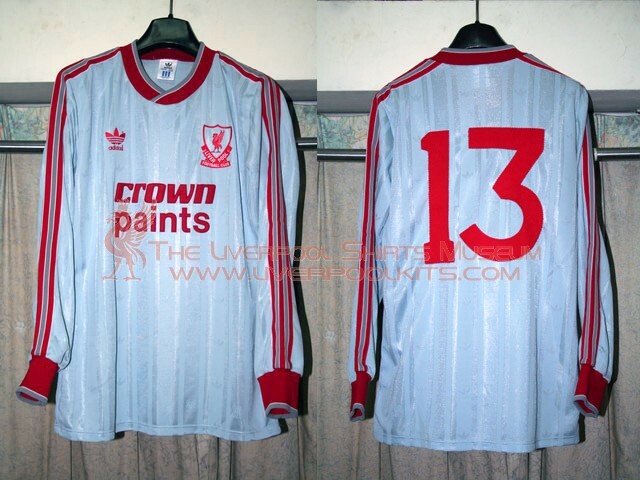 Liverpool 1987-1988 Away Player Shirt - 13 was a substitute number that was never worn by players. 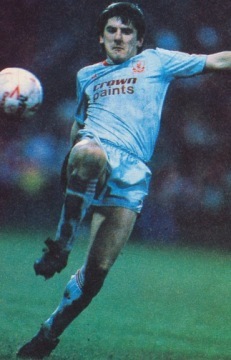 Featured Peter Beardsley wearing the grey away kit of season 1987-1988 with the red Crownpaints sponsor. 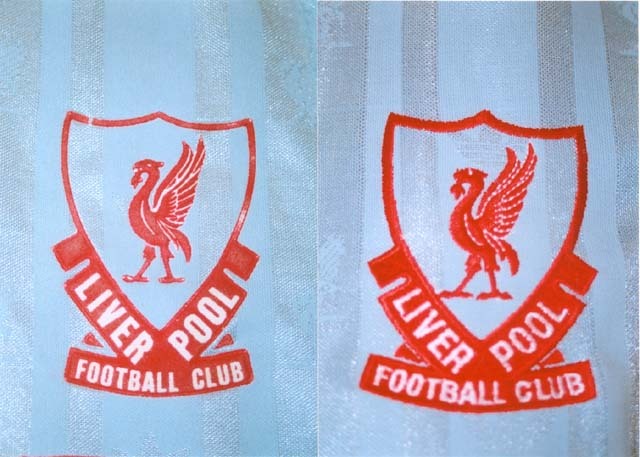 Replicas shirts of this era always have embossed club crest and manufacturer motif, whereas genuine player shirts have fully embroidered ones. 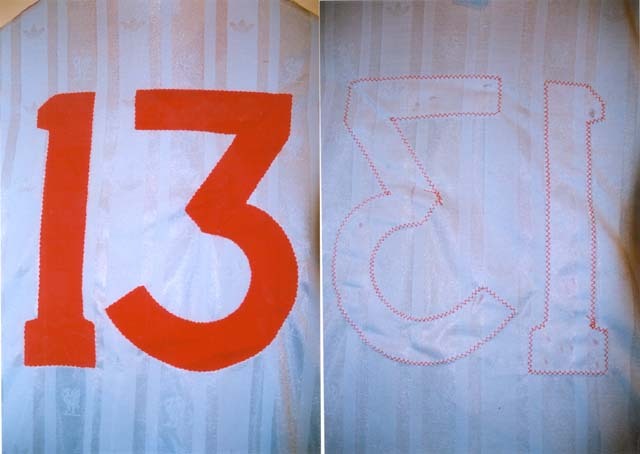 As usual, the 1980s shirts have machine stitched cloth-type numbers on the backside. 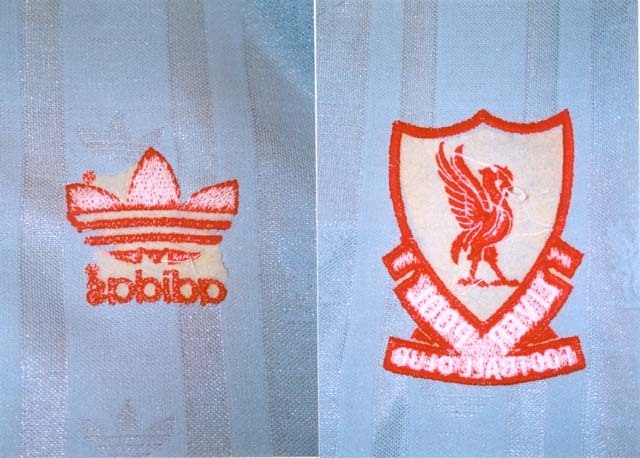 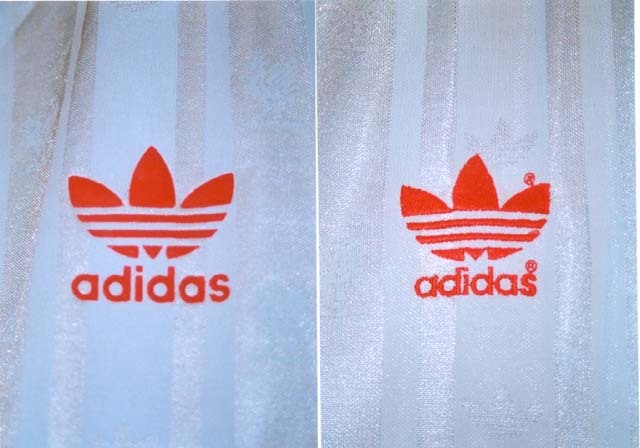 Genuine player shirt's inner side shows clear signs of embroidery.